Some do it because they want more choice. Others use it to reduce their carbon footprint, while for another it was just the easy option. And then there are those simply looking to tap into the long-term growth drivers or earn a certain risk-adjusted return. 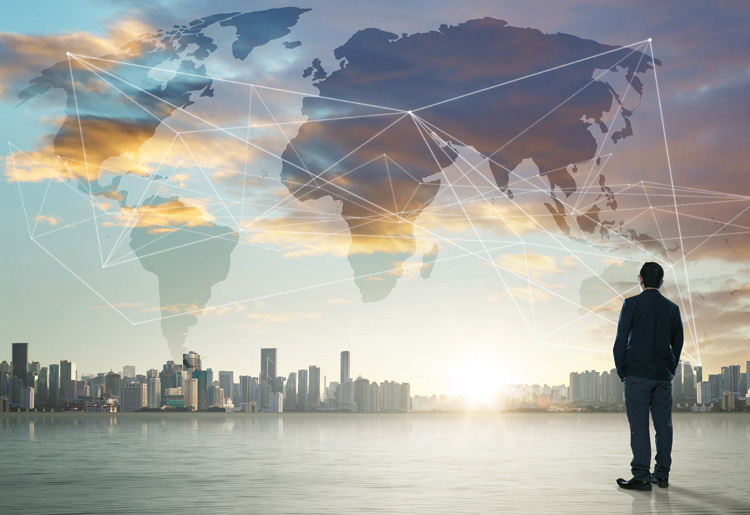 There are many reasons why institutions are building global equity portfolios, and more and more of them are turning to such assets. 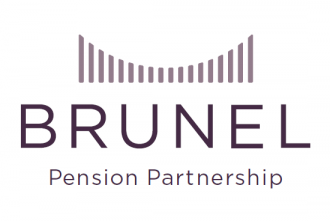 Indeed, Local Pensions Partnership (LPP) is a £16bn pool for the London Pensions Fund Authority and the local government schemes of Lancashire and Berkshire. The pool’s largest investment fund targets global equities, which was worth £6.3bn at the end of August. This is almost five times greater than the £1.8bn it has sitting in private equity – its second largest allocation. The global equity fund’s largest investments include Visa, Nestle, Starbucks, Apple, Pepsi and Johnson & Johnson. In October the fund returned -3.6%, net of fees, but still outperformance its benchmark, the MSCI ACWI ND Index, by 2%. LPP chief executive Susan Martin describes the pool’s strategy in this area as a complementary approach. “We are looking at large cap quality stocks and we operate a buyand-hold strategy. We are effectively in for the long-term, we are not looking for quick sale. “We take an active interest in how the companies are doing, not just in terms of the dividend returns, but also in how they are doing in terms of governance and various other responsible investment activities,” she adds. Also catching the global equities bug is Access, a £40bn pool for 11 local government pension schemes, including those in Cambridge, Essex, Hampshire, Hertfordshire, the Isle of Wight and Kent. It launched a £1.6bn global equities fund in late 2018, which is its first pooled vehicle. Access’ chair, Andrew Reid, says that global equities were chosen as the first fund to be launched by the pool because it was the “easiest one to adopt”. “There is no particular reason why it was global equities verses UK equities,” he adds. “We did this on a pilot basis, in other words we wanted to test the approach with Link Fund Solutions [the pool operator]. The first fund has been so well received that Access is already searching for an active global equity manager with a value bias to manage around £650m of assets. Another scheme that is gaining greater exposure to non-UK listed stocks is the Environment Agency Pension Fund. In its last financial year, returns of £162m helped swell its Active Fund to £3.4bn thanks to strong global equity market gains, low volatility and an outperformance of ‘growth’ over ‘value’ stocks. However, those managing the scheme point out that they have seen a reversal of these trends in the current financial year on the back of central banks removing their stimulus measures and US interest rate rises. Reducing its carbon footprint and fossil fuel exposure has been a catalyst for re-positioning the Environment Agency Pension Fund’s portfolio. This is perhaps a nod to the FTSE 100 being heavily weighting towards oil and gas giants such as BP and Shell. While there is a whole group of potential sub-funds, we thought that we would try to get it right first time and it just happened to be global equities that presented itself. The scheme’s target is to have 47% of the portfolio in such stocks with those listed in emerging markets currently its highest allocation at £292.9m. At the other end of the scale are London-listed shares at £72.8m, a clear sign of it being the victim of the fund’s new strategy. AAs the trustees of the Environment Agency Pension Fund have discovered, equities trading in other parts of the world offer investors different exposures and risk-return profiles. They also offer the chance to own a slice of the profits generated by some of the world’s most recognisable brands, an attraction that is hard to resist. For those that can resist, many high-profile brands trade in London, which generate revenues from around the world. The FTSE 100 has become an international market with the likes of BP, Anglo American, Vodafone, HSBC, AstraZeneca and Burberry having operations around the world. Yet it is a small pool. Setting a global equity strategy provides UK investors with a larger group of businesses to consider when building a portfolio of equities. And more choice is needed. The number of listed companies trading in London has shrunk 36% since 1996, claims Cambridge Associates, a consultancy. This is not just the result of stocks being taken private, but that fledgling companies now have a wider range of funding options to explore and so are staying private for longer. One catalyst behind the growing allocations to companies trading on stock markets overseas could be the ongoing uncertainty over the terms of the UK’s divorce from the European Union. Investors have withdrawn more than $20bn from UK-focused equity funds since the UK voted to leave Europe in June 2016, according to data provider EPFR. This is a theme that Schroders has also noticed. A recent survey of 400 financial advisers carried out by the asset manager found that 35% of investors moved their assets out of the UK in 2018, or were considering such a move. This was up from 21% in 2017. Brexit and geopolitics were blamed for the change in strategy. In a nutshell, the UK is seen as being too risky at the moment. This begs the question: if the continuing uncertainty over the terms of the UK’s departure from Europe is lifted with a favourable deal being agreed, will it be enough to tempt capital back to UK stocks? It may not be enough. It appears that what has been the UK’s loss has been the US’ gain. Almost three-quarters (74%) of the capital that left these shores in 2018 was moved to the US, which was more than three times higher than the 22% that was recorded a year earlier. There could be a good reason for the US’ popularity. An outlook note published by one large asset manager predicts that US equities will generate annual returns of 7% in the next 10 years, before fees. Not all the proceeds from the sale of UK shares in 2018 found their way into stocks trading in the US, Asia or emerging markets. It appears that after a prolonged equity bull run, investors are locking-in any gains they may have earned by de-risking as regular bouts of volatility have returned. 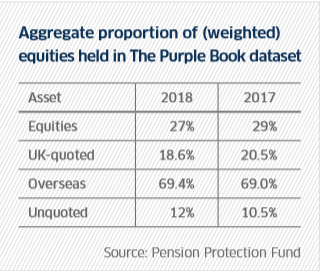 The proportion of equities held by defined benefit (DB) pension schemes decreased in 2018, while allocations to bonds increased. Indeed, the level of UK-quoted equities in DB schemes have fallen to 18.6% from 20.5%, while exposure to overseas equities only recorded a slight increase (see table). Those reducing their UK stocks but still looking to maintain an equity portfolio could be tempted emerging market companies. Younger populations, increasing urbanisation, improving infrastructure and a growing middle class make the outlook for many of the countries in this bloc attractive. Yet any investment here would have to be long-term judging by the regular bouts of volatility that have hit these markets in the past few years. If there are concerns over China’s growth then the whole region suffers as developed market investors rush to dump their stocks after reading negative headlines online. This is a point to remember for those following such a strategy. A global equity strategy is not only about high returns, growing populations and Apple. Investors have had to navigate some tricky events, such as trade wars and warnings that global growth is slowing. There is also the impact that a rise in US interest rates could have on parts of the developing world. There were four such upward moves in 2018 and sell-offs in equities soon followed. But this looks unlikely to deter asset owners. Research by OFI Global Asset Management and Greenwich Associates into the role global equity will play in institutional equity portfolios going forward was largely positive. 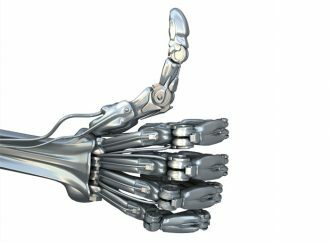 The Future of Global Equity featured interviews with 157 senior investment professionals, including pension schemes, endowments and foundations that have at least $250m under management in the US, UK, Norway, Demark, Finland and Sweden. One of its main conclusions was that actively-managed global equity strategies will continue to be important for return-seeking institutions. The need for large asset owners to meet funding targets is fuelling global strategies where managers are being given more freedom to find the returns such clients need. For those looking to meet this need, health and technology stocks are worth special attention, as is Japan, according to Columbia Threadneedle’s global head of asset allocation, Toby Nangle. He has put property, materials, utilities and telecommunication stocks on his list of sectors to avoid. Helping asset owners meeting their investment needs is not only about growing the principle investment. Income also plays a role and it played a big role in 2018. Global dividends increased by 5.1% to $354.2bn in the third quarter, making it record period, according to Janus Henderson. Companies in the US, Canada, Taiwan and India handed back more of their profits than ever before in a three-month period. There was also a rise the shareholder returns made by Chinese companies in what was a return to dividend growth after three years of contraction. Hong Kong and Taiwan may have delivered impressive 5.9% and 6.2% underlying rises, but China’s performance was stronger. Pay-outs from companies listed in the world’s second largest economy surged 14.6% on an underlying basis. Banks, insurers and energy companies were behind the rise. US-listed companies’ dividends jumped 9.1% in the third quarter to a record $120bn. Although almost half of the increase was a $5.3bn special dividend paid following the takeover of Dr Pepper Snapple by Keurig, underlying growth was still a healthy 7.3%. In the UK, payments jumped by an impressive 11.1% after lower special dividends, a weaker pound and calendar effects were taken into account. This all contributed to Janus Henderson’s forecast that global dividends would increase by 8.1% to $1.3trn during the whole of 2018. So owning companies listed outside of the UK can bring many benefits to the portfolios of long-term investors, making it unlikely that they are going to retreat back to stocks trading on the London Stock Exchange, even if the cloud of uncertainty is lifted in the next few months. So UK pension schemes are expected to remain global investors for some time to come.